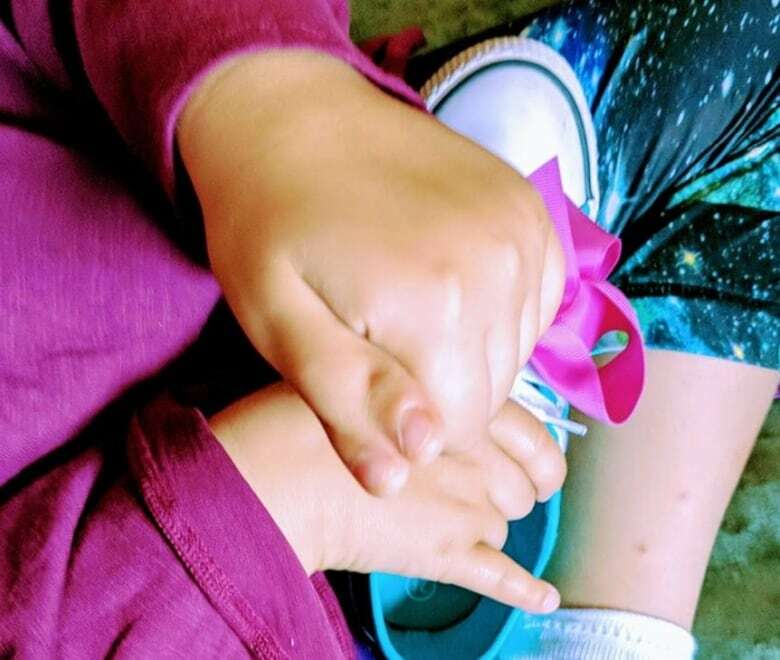 It's been nearly six months since Taya first asked her mother to find her a friend with three thumbs. To find a friend who is unique — and yet also just like her. "And we managed to find somebody, didn't we?" Alicia Oakes says, nudging her daughter. Taya, 6, smiles so hard you hear it in her voice she says yes. 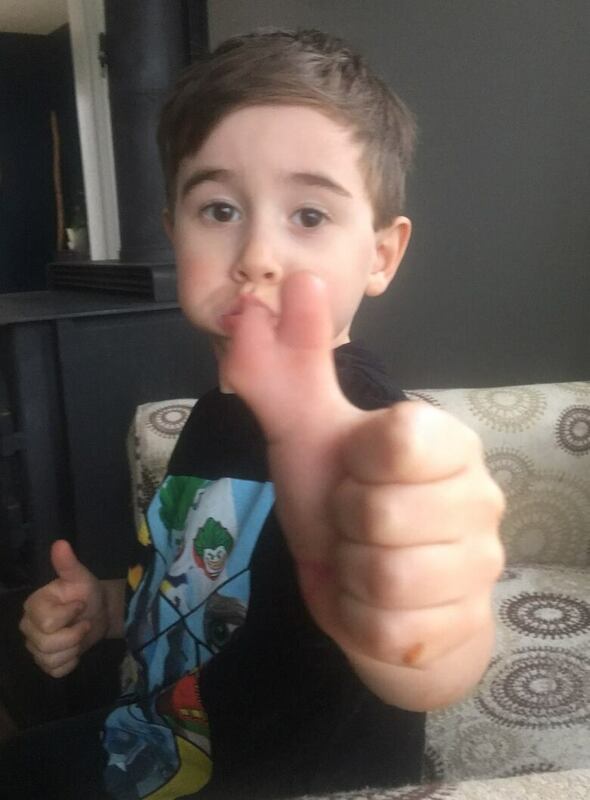 In 10 days it will be her birthday but, before then, the Dartmouth, N.S., girl hopes to meet the little boy who shares the same condition: being born with an extra thumb. About one in 3,000 children are born with thumb duplication, according to Toronto's Hospital for Sick Children. Many will have reconstructive surgery before age two, making the condition more rare in older children — and less likely that Taya and her family would find someone who shares what she calls her natural advantage at Mario Kart. But Oakes expanded her search by posting Taya's request to Facebook. "She is so strong and confident, but often I wonder how her school years might play out," Oakes wrote in her post. She said they were looking for "someone we could sit down with, have a play date, grab an ice cream and go for a walk. It doesn't matter to us; she would just like to have that connection." And then Wyatt's mother got in touch. The pair are about the same age, Oakes says, and their homes are within a 30-minute drive. When she learned that her mother had found someone like her, Taya "hugged me really tight and burst into tears," Oakes says. The first thing Taya plans to tell her new friend is: "I really like your double thumbs." Taya's parents didn't learn about her double thumbs until she was born. When it came time to make a decision about surgery — a complex procedure that sometimes involves fusing parts of the two digits — Oakes says she didn't want to make a choice without her daughter's consent. "She chose to keep it," Oakes says. "We had the discussion many times and I like to keep an open mind and communication for her to always let me know if it's bothering her, but it doesn't hold her back." She plays soccer and takes martial arts classes. She's collecting colouring books, toys and other items for kids who are patients at Halifax's IWK Health Centre. And she plans to be a vet when she grows up. There are people who ask her questions about her hand and there have been a few instances of bullying at school. But Taya is aglow at the thought of having a friend who understands why she loves her "special thumb." "I always want to keep it, because I'm always special," she says. "And I can text quicker when I'm, like, 18."